Nothing says spring has sprung in Georgia like the Atlanta Blooms event at the Atlanta Botanical Gardens! 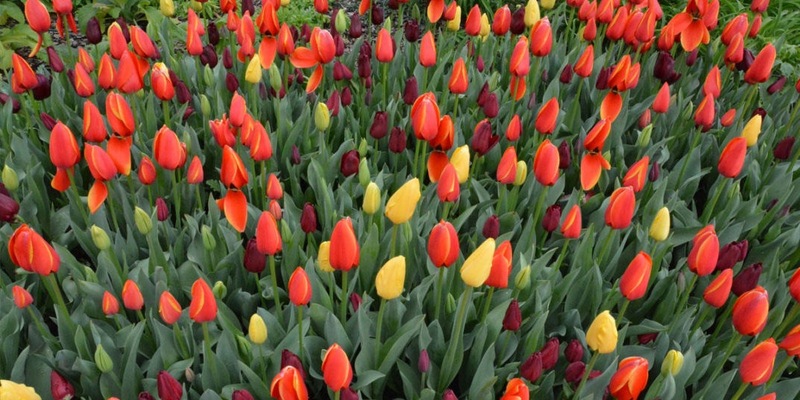 Starting March 1st and continuing through all of March and April, come celebrate the beginning of the season with hundreds of thousands of tulips, daffodils, hyacinths, crocuses and other perennial beauties. This annual event features the favorites flower lovers enjoy year after year, along with new varieties cultivated over the winter season by master gardeners. In fact, planning for each year’s Atlanta Blooms event often starts up to two years ahead of time, as flowers are collected, mixed and matched to determine the most picturesque combinations. This event is included with your regular admission to the 30 acres of outdoor gardens, which includes the award-winning Children’s Garden, the one-of-a-kind Canopy Walk, and the picturesque Skyline Garden. Bloom times vary. The exhibition is designed to bloom over several weeks depending on Mother Nature. Want to live closer to these intoxicating blooms? Check out our listings in nearby Morningside here!